Serums are still something relatively new to me when it comes to skin care, I’ve only been using them for the past year. Over the past year I’ve got around to using a couple of different ones and found a couple of favourites that I like to switch around and use. L’Oreal Paris Youth Code Youth Boost Serum first came into my life over a year ago, and happened to be an impulse purchase because I found it on offer. I know at the age of 22 I’m not really the target audience for a youth product, but this has really helped to make my skin feel younger. My skin is now softer, more radiant, and my skin tone has evened out by using this. 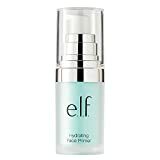 I find this serum to be a little heavier than the others so I tend to use it with my evening skin care routine. This tends to be the serum I use if my skin is looking a little dull, and could do with a bit of a boost. My second favourite is The Body Shop Vitamin E Moisture Serum. The Body Shops Vitamin E range is one of my favourites generally, so when I saw that they had brought out a serum, I had to have it. I found this one to be a lot lighter than L’Oreal’s one, so I used this both in the morning and evening. It really helped me out during the winter months when my skin was a little on the dry side and needed that extra moisture boost. My final favourite is from an Italian brand called Dr. Lauranne which I received in my All About Beauty Box. This is the serum that I turn to when my skin is in desperate need of hydration. My skin just seems to drink it up quickly, and if my skin is having a particularly dry spell I often apply two layers. Although this is probably the best serum for dry skin, I can leave my skin feeling particularly shiny. So if you’re a fan of the matte look, this probably isn’t for you unless you stick to using it in your evening skin care routine. I’m still on the hunt for other serums to try out in my skin care routine so if you have any favourites you’re currently using let me know so I can add them to my wish list;).